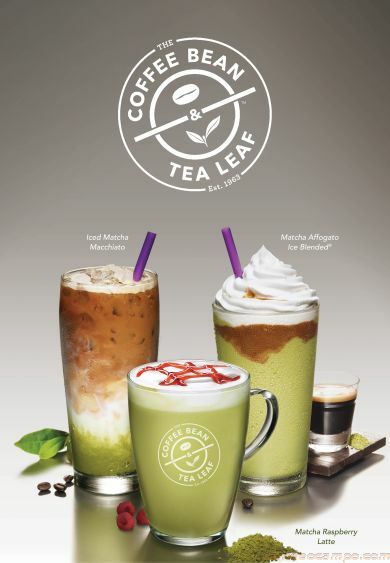 In line with its 15th anniversary in the Philippines, The Coffee Bean & Tea Leaf levels up on the matcha craze with the launch of three new limited edition drinks. The well-loved coffee and tea brand blends the rich taste of premium matcha with bold espresso and refreshing raspberries in the Matcha Macchiato, Matcha Affogato, and Matcha Raspberry Hot & Iced Lattes and Ice Blended. The perfect harmony of matcha and espresso, green tea-and-coffee lovers will surely fall in love with the Matcha Macchiato and the Matcha Affogato. For macchiato fans, try the Matcha Macchiato for a smack of new flavor on the palate. Available hot or over ice, this fusion of matcha green tea, steamed milk, and espresso will surely hit the spot and offer a new way to enjoy the classic macchiato. A caffeine, matcha, and dessert fix in one, the Matcha Affogato Ice Blended is the perfect addition to The Coffee Bean & Tea Leaf’s pioneering Ice Blended line. This satisfyingly good dessert-beverage hybrid is the crowd-favorite Matcha Green Tea Ice Blended with cream and a shot of espresso. Last but definitely not the least, The Coffee Bean & Tea Leaf offers something for those who like their drinks decaf. Bringing a refreshing twist to the hot and iced lattes and Ice Blended is the Matcha Raspberry, a caffeine-free creation resulting from the infusion of subtle hints of raspberry and the distinctive taste of matcha. The Matcha Macchiato and Matcha Raspberry lattes start at PHP 155.00, while the Matcha Affogato and Matcha Raspberry Ice Blended start at PHP 185.00. Visit any The Coffee Bean & Tea Leaf store nationwide, try out the different flavors, and “find your matcha”!